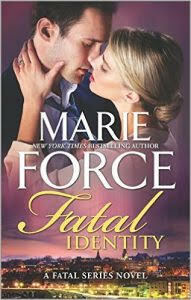 On the 26th of July, Harlequin's HQN Books will release Fatal Identity, the tenth book in Marie Force's Fatal series, starring popular couple, Vice President Nick Cappuano and Lieutenant Sam Holland. To celebrate, many of the books in the series are being sold at discounted prices and this tour offers both a Rafflecopter giveaway as well as a special pre-order promotion. Sample the series by downloading the prequel novella, One Night With You for FREE and the first full-length book in the series, Fatal Affair for only $2.99. 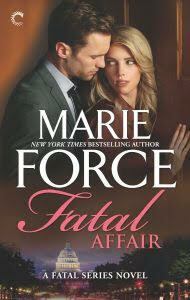 Register your pre-order of Fatal Identity for a chance to win one of two terrific prize packages. 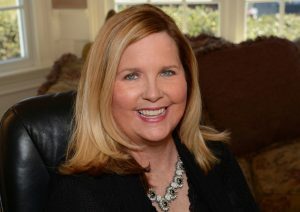 Join Marie’s mailing list on her website at marieforce.com for news about new books and upcoming appearances in your area. Follow her on Facebook at www.Facebook.com/MarieForceAuthor, on Twitter @marieforce and on Instagram at www.instagram.com/marieforceauthor/. Contact Marieat marie@marieforce.com. I'm a Sam and Nick fan. I started reading with the first book when it was digital only and have read every one. I even wrote a spotlight feature on them for H & H a while back. I am eagerly awaiting Fatal Identity. I enjoy her voice, Janga. I read the first book and have the others but haven't read them yet. I need to make some time and catch up! It's always great to hear about new-to-me authors!! Thanks. 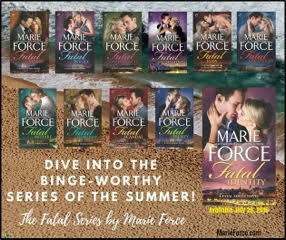 I have a couple of Marie Force's books in my TBR Mountain, but haven't been able to get to them. I am overdue for a good romantic suspense read. This will be a good support for making a new study on romance and pure love. 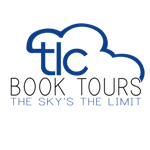 For a love and War related subject writing work just choose the expert writer from online or choose this like best blogs.